DESCRIPTION RxLink Alpha Lipoic Acid capsules contain 100 mg of pure alphalipoic acid. Alpha-lipoic acid is a non-vitamin coenzyme that carries out important metabolic and antioxidant functions in the body. FUNCTIONS Alpha-lipoic acid is a nutritional coenzyme that is involved in energy metabolism of proteins, carbohydrates, and fats, has physiological functions in blood glucose disposal, and is able to scavenge a number of free radicals. Alpha-lipoic acid is a fat- and water-soluble, sulfur-containing coenzyme. It functions in the body much like a B-vitamin, since it is involved in energy production. As part of several multi-enzyme complexes located in the mitochondria, alphalipoic acid is essential for metabolizing carbohydrates, proteins, and fats, and for the conversion of their energy into ATP. Two of these enzyme complexes, PDH (pyruvate dehydrogenase) and alpha-KGDH (alpha-ketoglutarate dehydrogenase) are part of the citric acid cycle (Krebs cycle), and as such assume a central role for general energy production. Another lipoic acid containing enzyme complex, BCKADH (branched-chain keto-acid dehydrogenase), is involved in deriving energy from the branched chain amino acids: leucine, isoleucine, and valine. A related metabolic function of alpha-lipoic acid is its role in blood glucose disposal. This important coenzyme appears to be necessary for the normal transport of blood glucose into the cell. This may be explained by its functions in the glucose metabolizing enzymes, PDH and alpha-KGDH, but some researchers suspect a more direct role in cellular glucose uptake at the cell membrane. As early as 1959, alpha-lipoic acid was suggested to be an antioxidant, since it could extend the actions of vitamin C in guinea pigs, and those of vitamin E in rats. It is only recently, however, that the specific actions of alpha-lipoic acid in free radical quenching, metal chelation, and antioxidant regeneration have been investigated. Body cells and tissues are threatened continuously by damage caused by toxic free radicals and reactive oxygen species (e.g., peroxides) which are produced during normal oxygen metabolism, and by toxic agents in the environment. 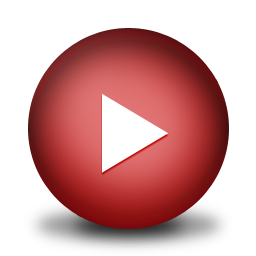 Free radicals, once formed, are capable of disrupting metabolic activity and cell structure. When this occurs, additional free radicals are produced which, in turn, can result in more extensive damage to cells and tissues. The uncontrolled production of free radicals is thought to be a major contributing factor to many degenerative diseases. Alpha-lipoic acid is unique among biological antioxidants, because it is soluble in both water and lipids. This allows it to neutralize free radicals just about everywhere in the body, inside and outside the cells. Due to its unique sulfurcontaining structure, alpha-lipoic acid can scavenge several types of free radicals, such as the highly reactive hydroxyl, and singlet oxygen free radicals. It is also capable of suppressing the generation of free radicals in the first place, since alpha-lipoic acid chelates transition metals, such as iron and copper. Because alpha-lipoic acid is involved in so many different antioxidant functions in virtually all body tissues, it has been called the universal antioxidant. Besides being a universal free radical scavenger, alpha-lipoic acid can also recharge other antioxidant systems throughout the body. As mentioned earlier, it can extend the activity of vitamins C and E. In addition, alpha-lipoic acid can also regenerate glutathione. 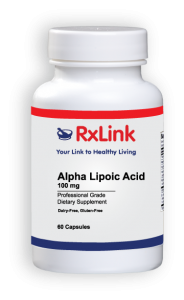 INDICATIONS Alpha-lipoic acid may be a beneficial dietary supplement for those concerned about a more complete antioxidant defense system and maintaining proper glucose metabolism. Dietary and supplementary alpha-lipoic acid is efficiently absorbed, transported to the tissues, and readily taken up by the cells. Alpha-Lipoic Acid*…………………………………100 mg *From Lipoec® brand made by Cognis Nutrition. Other Ingredients: Rice powder, silica, magnesium stearate and gelatin capsule. 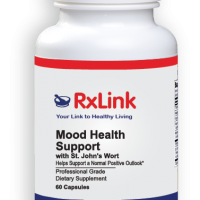 SUGGESTED USE As a dietary supplement, adults take 1 capsule, 1 to 3 times daily with meals, or as directed by a healthcare professional. SIDE EFFECTS No adverse effects have been reported. STORAGE Store in a cool, dry place, away from direct light. Keep out of reach of children. REFERENCES Baur A, Harrer T, Peukert M, Jahn G, Kalden JR, Fleckenstein B. Alphalipoic acid is an effective inhibitor of human immuno-deficiency virus (HIV-1) replication. Klin Wochenschr 1991;69:722-724. Jacob S, Henriksen EJ, Schiemann AL, et al. Enhancement of glucose disposal in patients with Type 2 diabetes by alpha-lipoic acid. Arzneimittelforschung 1995;45:872-874. Nagamatsu M, Nickander KK, Schmelzer JD, et al. Lipoic acid improves nerve blood flow, reduces oxidative stress, and improves distal nerve conduction in experimental diabetic neuropathy. Diabetes Care 1995;18:1160-1167. Ou P, Tritschler HJ, Wolff SP. Thioctic (lipoic) acid: A therapeutic metalchelating antioxidant. Biochem Pharmacol 1995;50:123-126. Packer L, Witt EH, Tritschler HJ. Alpha-lipoic acid as a biological antioxidant. Free Radic Biol Med 1995;19:227-250. Packer L. Antioxidant properties of lipoic acid and its therapeutic effects in prevention of diabetes complications and cataracts. Ann N Y Acad Sci 1994;738:257-264. Scott BC, Aruoma OI, Evans PJ, et al. Lipoic and dihydrolipoic acids as antioxidants. A critical evaluation. Free Radic Res 1994;20:119-133. Suzuki YJ, Tsuchiya M, Packer L. Lipoate prevents glucose-induced protein modifications. 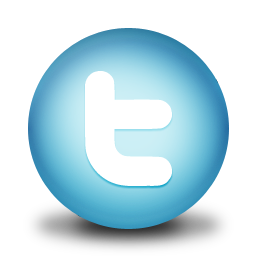 Free Radic Res Commun 1995;17:211-217. 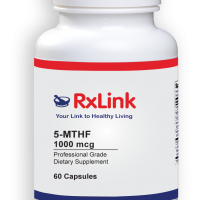 FUNCTIONS RxLink Alpha-lipoic acid is a nutritional coenzyme that is involved in energy metabolism of proteins, carbohydrates, and fats, has physiological functions in blood glucose disposal, and is able to scavenge a number of free radicals. Alpha-lipoic acid is a fat- and water-soluble, sulfur-containing coenzyme. It functions in the body much like a B-vitamin, since it is involved in energy production. As part of several multi-enzyme complexes located in the mitochondria, alphalipoic acid is essential for metabolizing carbohydrates, proteins, and fats, and for the conversion of their energy into ATP. Two of these enzyme complexes, PDH (pyruvate dehydrogenase) and alpha-KGDH (alpha-ketoglutarate dehydrogenase) are part of the citric acid cycle (Krebs cycle), and as such assume a central role for general energy production. Another lipoic acid containing enzyme complex, BCKADH (branched-chain keto-acid dehydrogenase), is involved in deriving energy from the branched chain amino acids: leucine, isoleucine, and valine. A related metabolic function of alpha-lipoic acid is its role in blood glucose disposal. This important coenzyme appears to be necessary for the normal transport of blood glucose into the cell. This may be explained by its functions in the glucose metabolizing enzymes, PDH and alpha-KGDH, but some researchers suspect a more direct role in cellular glucose uptake at the cell membrane. As early as 1959, alpha-lipoic acid was suggested to be an antioxidant, since it could extend the actions of vitamin C in guinea pigs, and those of vitamin E in rats. It is only recently, however, that the specific actions of alpha-lipoic acid in free radical quenching, metal chelation, and antioxidant regeneration have been investigated. Body cells and tissues are threatened continuously by damage caused by toxic free radicals and reactive oxygen species (e.g., peroxides) which are produced during normal oxygen metabolism, and by toxic agents in the environment. 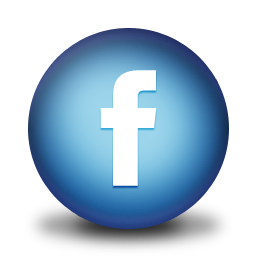 Free radicals, once formed, are capable of disrupting metabolic activity and cell structure. When this occurs, additional free radicals are produced which, in turn, can result in more extensive damage to cells and tissues. The uncontrolled production of free radicals is thought to be a major contributing factor to many degenerative diseases. Alpha-lipoic acid is unique among biological antioxidants, because it is soluble in both water and lipids. This allows it to neutralize free radicals just about everywhere in the body, inside and outside the cells. Due to its unique sulfurcontaining structure, alpha-lipoic acid can scavenge several types of free radicals, such as the highly reactive hydroxyl, and singlet oxygen free radicals. It is also capable of suppressing the generation of free radicals in the first place, since alpha-lipoic acid chelates transition metals, such as iron and copper. Because alpha-lipoic acid is involved in so many different antioxidant functions in virtually all body tissues, it has been called the universal antioxidant. Besides being a universal free radical scavenger, alpha-lipoic acid can also recharge other antioxidant systems throughout the body. As mentioned earlier, it can extend the activity of vitamins C and E. In addition, alpha-lipoic acid can also regenerate glutathione. INDICATIONS RxLink Alpha-lipoic acid may be a beneficial dietary supplement for those concerned about a more complete antioxidant defense system and maintaining proper glucose metabolism. Dietary and supplementary alpha-lipoic acid is efficiently absorbed, transported to the tissues, and readily taken up by the cells. 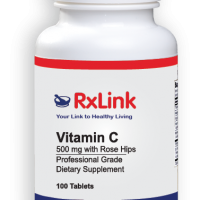 FORMULA (RxLink-10006) 1 Capsule Contains: Alpha-Lipoic Acid*…………………………………100 mg *From Lipoec® brand made by Cognis Nutrition. Other Ingredients: Rice powder, silica, magnesium stearate and gelatin capsule. SUGGESTED USE As a dietary supplement, adults take 1 capsule, 1 to 3 times daily with meals, or as directed by a healthcare professional.